If you’ve made a new year’s resolution to look after your health this year, don’t give up – take our short ‘How Are You?’ quiz now to get a personalised health score and advice on the free tools available to help you be healthier in 2019. Everyday behaviours, such as poor diets, drinking too much alcohol, smoking and low physical activity, are responsible for around a third of all deaths in England, and cost the NHS more than £11 billion a year. One You is the campaign from Public Health England which helps adults across the country avoid future diseases caused by our lifestyles, through showing how the healthy changes we make to our daily habits now, not only bring rewards for our health as we age, but also help to improve how we feel day to day. Whether you want to move more, eat well, cut down on alcohol or stop smoking, the free, online quiz below can help you discover which of the apps from the One You range will be best for you and your personal health goals. There are some great tools available for you to choose from too, including Active 10 and Couch to 5k, Easy Meals and Drink Free Days, plus the popular Smokefree app. You can also find information and support to reduce stress levels and help you sleep better if you need it! 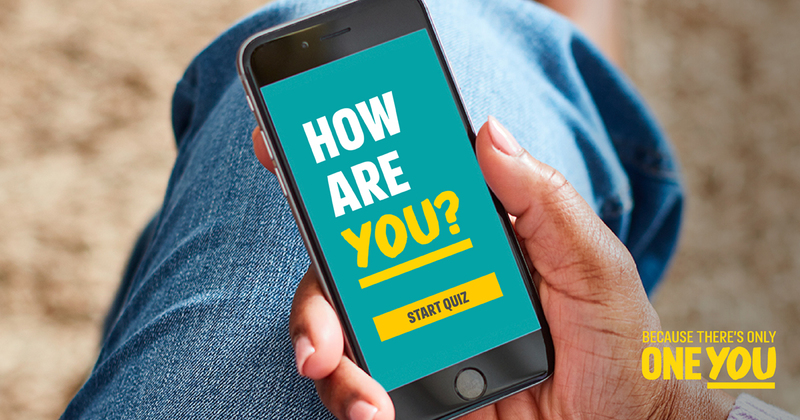 Over 2.5 million people have already taken the How Are You quiz, so why not join them and take the quiz to get your score now? Call the Live Well Greenwich line on 0800 470 4831 to find local support near you, or visit our Live Well every day page for more information.